A certain somebody at the New York Post may have me blocked on Twitter after I asked to be credited with breaking a news story that I rightfully broke but that doesn’t mean he removed my blog from his bookmark list. Remember back earlier in the winter when I asked the Yankees to shake up the offseason and shock the world by acquiring Zack Greinke from the Arizona Diamondbacks? Well here we stand a few weeks later and that certain somebody had the same idea. Go figure. In the article, which can be found with a simple Google search I’m sure as I will not be crediting him with anything unfortunately, the proposed trade proposal for Greinke includes Arizona also throwing in Brandon Drury while the Yankees send Jacoby Ellsbury, Chase Headley, Domingo Acevedo, Albert Abreu, Ian Clarkin and Bryan Mitchell to the Diamondbacks. Boy, oh boy. Where do I begin? Jacoby Ellsbury. No trade clause, not really a moveable contract even if he didn’t have one and his production is severely lacking. 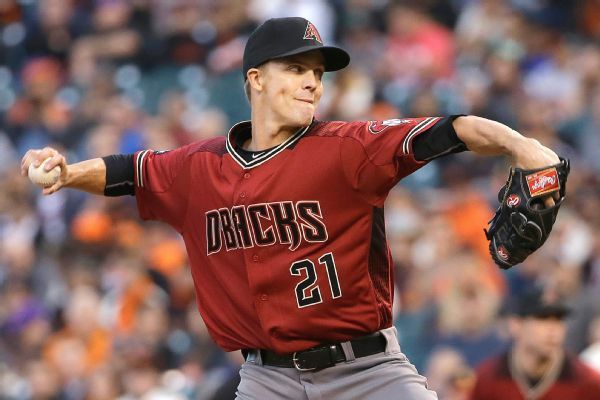 Arizona wants salary relief to come from trading Greinke, not another deal that will weigh down the franchise. Chase Headley. Maybe you haven’t heard of the guy in Arizona currently manning third base, Jake Lamb? Again, a hefty contract (although not completely unreasonable for two seasons) and it doesn’t really fill a need for Arizona in my opinion. Before I continue let me point out that I am well aware that after the Headley contract expire the Diamondbacks would begin saving money in the latter years of the contract but the fact remains that the only reason they want to trade him is to save money NOW, not later. Carrying on. That’s an awful lot in terms of prospects when you’re taking on over $100 million in salary and an AAV of $34 million. No, no and no. It’s a salary dump for a player coming off a down year, treat it as such. Don't get all worked up Daniel, this is the way we have always done our trading in the days of George! We had to over pay on most every trade we made back in the so called good old days. Alas, we have gone from one extreme to another, so it seems! I agree that would be a dumb move on our part!